Several tight games that could have gone either way featured in the annual battle to find the 50-59 Category giant of the club. 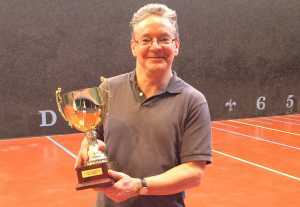 There were only five players in this year’s tournament, so organiser Keith Beechener was able to set up a schedule where they all played each other once. 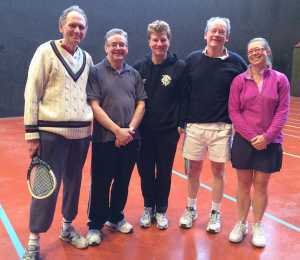 At the halfway stage John Lees and Sonja Badenhorst had equal unbeaten records, but each suffered losses in the second half while Anthony Bailey found his form, and went on to win the tournament by virtue of having won more games in his matches than John Lees.